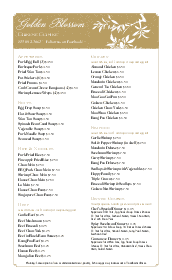 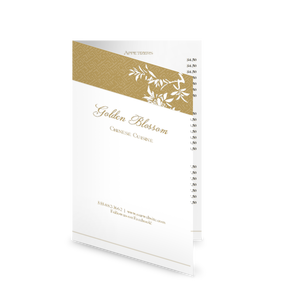 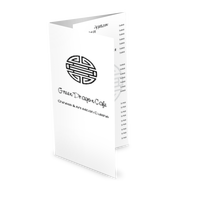 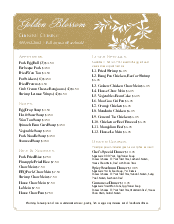 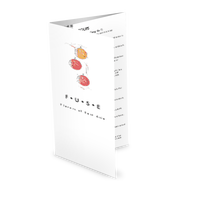 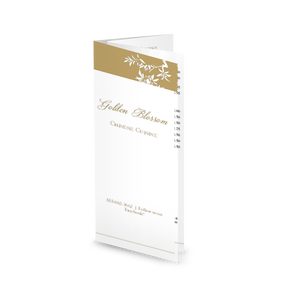 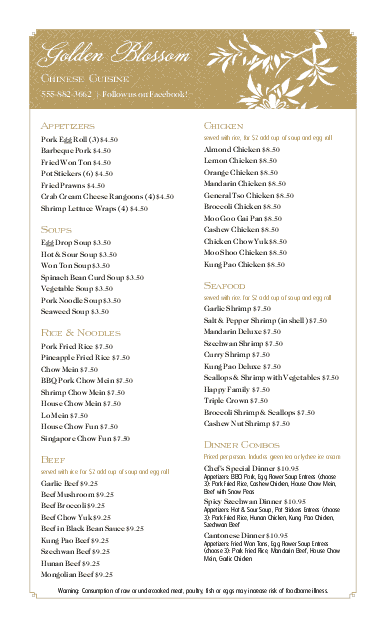 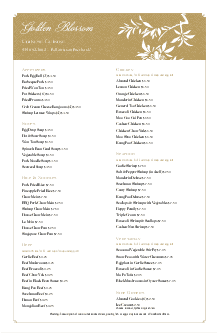 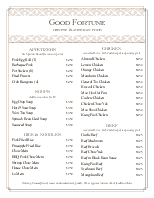 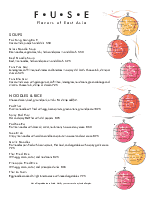 A Chinese Cuisine menu template with a clean, traditional design. 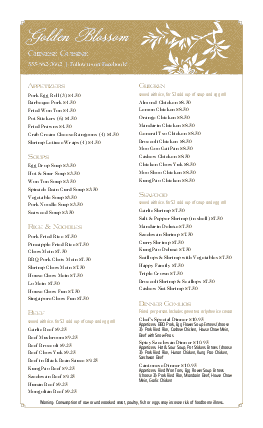 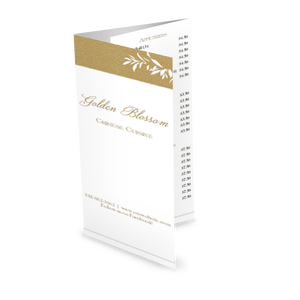 Two columns of Chinese food items stretch down a white page, while a textured gold banner at the top, adorned with delicate white flowers, showcases the restaurant name. 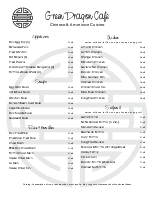 Customize with your Chinese cuisine in the online Menu Editor.